None Roland 1010music 2box 2HP 2nd Sense Audio 2Rule 4ms 99Sounds A Tasty Pixel Aardvark AAS Aaten Digital Abbey Road Ableton Abstrakt Data Access Accusonus Acoustica ADAM Advanced Circuit Lab AI Synthesis Air Airwindows AJH Synth Akai AKG Alesis Allen & Heath ALM Alpha Pianos Amazing Machines Ampeg Amper Ampify AmpTrack Technologies Analog Haven Analogue Solutions Ansmann Antares Antelope Audio Aphex Apogee Apple apulSoft Arboretum Aries ARP ART Arturia ArtVista ATC Audient Audified Audio Assault Audio Blast Audio Damage Audio Ease Audio Impressions Audio Simulation Audio Vitamins Audio-Technica AudioEase Audiomodern Audionomy Audiority AudioThing Audulus Auralex autodafe Avalon Avid AVP Synth Awave Baccus Bastl Instruments Befaco Behringer Best Service Beyer BIAS Inc Big bear Big Briar Big Tick Birdkids BitHeadz Bittree Bitwig Black Rooster Audio Blamsoft Blinksonic Blue Blue Cat Blueroom BluGuitar Bob Moog Foundation Boss Boz Digital Labs Brainworx Buchla Cableguys Cakewalk Camel Audio Casio Caspar Electronics Casper Electronics Catalyst Audio Celemony Celestion Cheetah Clavia Cloud Microphones CME Cocoa Camel Conductive Labs Confusion Studios Copper Traces Corsynth Crazy Tube Circuits Creamware Creative Crown Crumar Cycling '74 Cyclone Analogic dadamachines Dato Dave Smith Instruments Dayfornight DBX Delora Delta Lab Denon Denon DJ Dialog Audio Digidesign Digital Audio Labs Digital Brain Instruments Digital Music Corp. Digitana Electronics Digitech Dizengoff Audio DOD DODEKA Doepfer DPA (formerly B&K) DPW Dr Sync Drawmer Dreadbox Drumforge DSP Synthesizers Dubreq Dynaudio EAR Earthworks East West EAW Echo Edirol EGO Sys Electric Telepathy Electrix Electro Harmonix Elektron Elka elysia Emagic Embertone EMS EMU Endorphin.es Ensoniq Eowave Erica Synths Error Instruments ESI Estradin Event Electronics Eventide Expanding Sound Expert Sleepers Exponential Audio Expressive E FabFilter Fabulous Silicon FAC Fairlight Farfisa Fender fiedler audio Flintpope Focusrite Folktek Fostex Fragment Frap Tools Fraunhofer Fretello FrozenPlain Fruity Loops Full Bucket Music Funnel Tunnel Future Retro Future Sound Systems FXPansion G-Sonique Gallery GameSoundCon Garritan Gecho Gefen Genelec General Music GEOSynths GForce Software GG Audio Gibbon Digital Glyph GMedia Going Solo Golden Hawk Technology GoldWave Grimm Audio Guillemot Hal Leonard Hammond Hartmann HeadRush Heavyocity Hedd Audio Hex Inverter Hidden Path Audio HOFA Hohner Homegrown Sounds Hoontech HoRNet Hotone HUM Audio HY-Plugins Ibanez iceGear Icon iConnectivity IK Multimedia Ilio iLok.com Impact Soundworks iMusicAlbum Industrial Music Electronics Inear Display Inside Synthesis Intelios Inc Intellijel Invision Ircam Lab Isotonik Studios IZ Technology Izotope JazzMutant JBL Jen JoeCo Joemeek Joey Sturgis John Bowen JoMox JSH Junklite Software K-Devices Kawai Keith McMillen Instruments Kemper Kenton Kid Nepro Kii Audio kiloHearts Kilpatrick Audio KiNK Klark Teknik Klevgränd Produktion Koma Electronik Korg Krakli PLug-ins KRK Kurzweil KV331 KVGear Lamond Design Lexicon Line 6 lmdsp Loopmasters Lovetone Luftrum LVC-Audio Lynx Lynx Studio Technology M-Audio MAAT MacBeth Mackie MAGIX Makenoise Malekko MAM Marshall MAS Master Zap Max for Cats MCDSP Media Overkill MeeBlip Melu Instruments Mercuriall Meta Funtion Metasonix Metric halo MFB MG Miclop MIDAS Midivision Miscellaneous MixMan Mixvibes MNSP MNTN Modal Electronics Modor Momo Moog Moon Modular MOTU Multivox Muse Research MVStudio MyVolts NAMM Cam Native Instruments Nektar Technologies Neumann Neve Noise Engineering Nomad Factory Non-Lethal Applications NonLInear Labs Nord Novation Nozoïd Nucleus Soundlab Nugen Audio Numark Numerical Audio NuSpace Audio Oberheim Octave Oktava On the Road Opcode Openlabs Oram Output Overloud Overtone DSP PAIA Panasonic Peavey Pepperdecks Percussa Phonic Physical Audio Pigtronix Pioneer Pittsburgh Modular Plankton Electronics Ploytec Plugin Alliance PMC Polivoks Polyend Positive Grid Precision Sound Presonus ProPassion Tech Propellerheads Prosoniq PSP PSP Audioware Puremagnetik Qu-Bit Electronix Quasimidi Quiet Art Radikal Technologies Radioshack Ramsa Raspberry pi Reactable Realitone Rebel Technology ReLoop Reon Retrokits Retronyms RME Rob Papen Rode Roger Linn Design Roland ROLI Rossum Electro-Music Royale Audio RSF Rupert Neve Designs Røde Samson Schippmann Schmidt Schoeps sE Electronics Semitone Audio Sennheiser Sensel Sequential Circuits Serato Serge Sherman Shure Siel Simmons Sinevibes Slate Digital SMPro Audio Soft/Virtual/Cards Softube Solton Sonarworks Sonic Faction Sonic Farm Sonic Foundry Sonic Geometry Sonic Implants Sonic Reality Sonic State Sonic Talk Soniccouture Sonicstate: Profiles Sonnox Sonoma Wire Works Sonorus Sonuus Sony Soulsby Sound Radix Soundcraft SoundToys Special Waves Spectral Audio Spectrasonics Spitfire Audio SPL Squarecircle Squarp Instruments SSL Steinberg Sterling Audio STG Soundlabs Strymon Studio Amplify Studio Electronics Studio LOG Studiologic Sugar Bytes Surreal Machines SwissSonic Symbolic Sound Symetrix Synchro Arts Synclavier Digital Synthogy SynthRacks Synthrotek T. C. Electronic tangible waves Tascam Tasty Chips TC-Helicon Technics Technomania Teenage Engineering Tegeler Telefunken Terratec Thonk Tiesco Tim Exile Tinami Tip Top Audio TLAudio Toontrack Top 5 Samplers Touch Innovations Townsend Labs Tracktion Trident Tronical TTGS Turtle Beach U-He Unfiltered Audio Universal Audio UVI VCVRack Verbos Electronics Vermona Videologic Virsyn Vox Voxengo Waldorf Wampler Pedals Wave Alchemy Wave Arts Wave Idea Waves Wavesfactory Weirdest Instruments Wide Blue Sound Wigerdal's World Winter Modular WMD Wolfgang Palm Xils Labs Yamaha Zeta Ohm Zoom Zvuk Machines Zynaptiq --choose. Are they going to reissue? Did Roland Just Release a New Analogue Synth?! 14 products to debut online from May 26 to June 23 in The Future. Redefined. 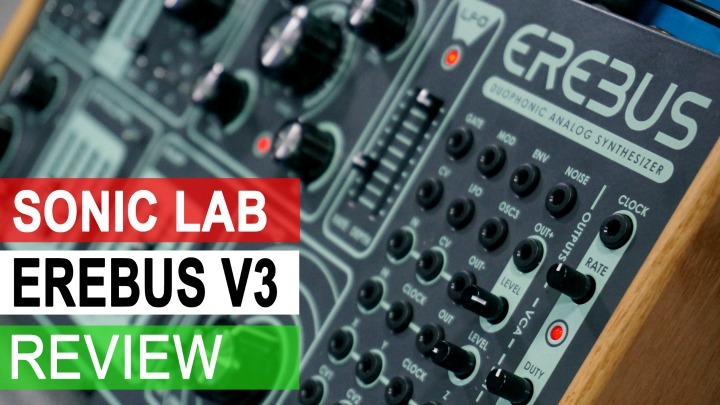 Sonic LAB: Roland System-8 Preview - Questions? Hand Built Jupiter 8 Clone Anyone? Roland TR909 and TB303 Reissues Coming? How's This For A Piano? Fancy some bleep-bleep with that vroom-vroom? Roland Blues Cube Review: UPDATED Model - Have The Kinks Been Ironed Out? Roland AIRA Definitely Goes Modular!! Did You Know That A 303 Can Write Its Own Melodies? Roland JD-XA Clip Ramping Up For MESSE? Responsive, rich and raw - but is it gigworthy? Whats This - A New Roland Analog Modelling Poly? One mega sized drum machine..
Heres our favourite 808 tracks! AIRA TR8 vs TR808 - Battle! This times it's the 909's turn! They are back - but what with? Roland and Fender's first guitar lovechild - any questions? Sonic LAB: Roland Juno Gi - A Juno For All? Synth, recording interface and 8 Track. Pint sized combo packs it in? WNAMM10: The Ideal Keyboard For Gigging? They Came. They Saw. They Juno'd. Mobile synthesizer - has it got legs? 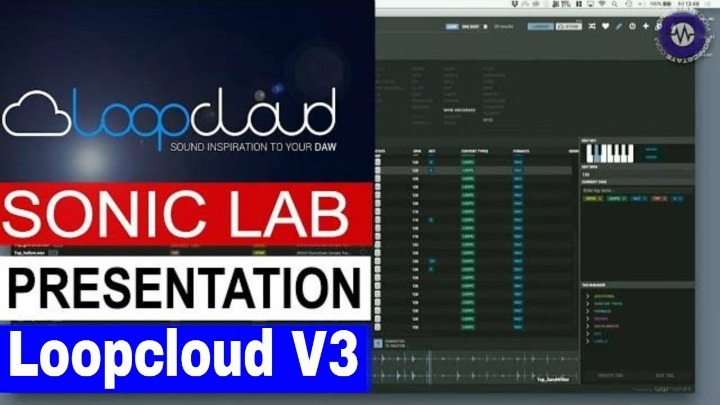 Gets New Rhythm Patterns & More! 44.1 16-bit for your listening pleasure. 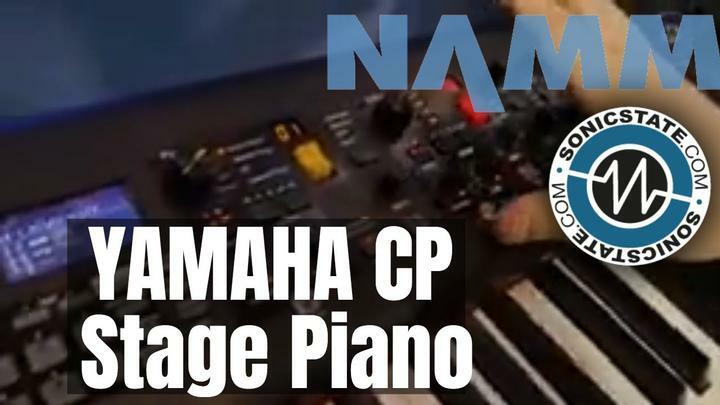 Digital piano like never before? Marching bands go electro... no kidding! 48 Channels from stage to desk over CAT5?? MESSE07: Perfect Monitor For New V-Drums Kit? 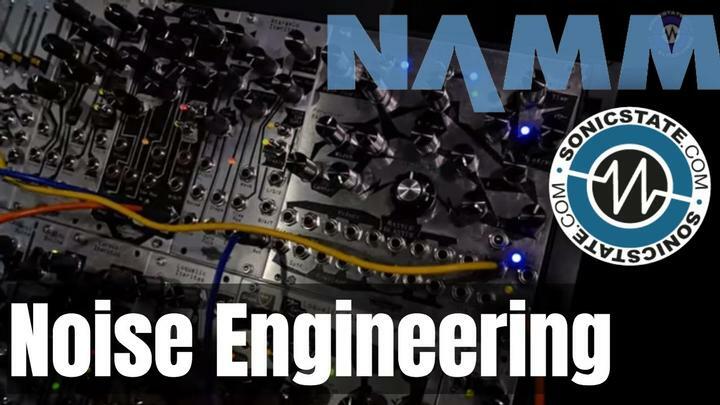 WNAMM07: A Milestone in Guitar Modeling and Performance Technology? The World's Most Expressive Synthesiser? NAMM: V-stand hits the show! It's a Keyboard stand - WOW! Version 2 with MV8-VGA card gives you mouse power. Easy on, easy off – nice price. Whats smaller than a Micron? A Micro Cube! Catch one at a store near you - it ships. Video demo of the features. Rolands flagship audio workstation gets a shot. Virtual models of the golden oldies - more to come? Pre-launch ad campaign gets the pulse racing? No one drunk at awards bash at all, honest. Win one before you can get em in the shops! The XV-5050 - presenting the beast in a smaller cage! Believe us, it's very orange. But they are still rivals. It's got a flanger. We like flangers at Sonic State. PC to SP-808 at last!